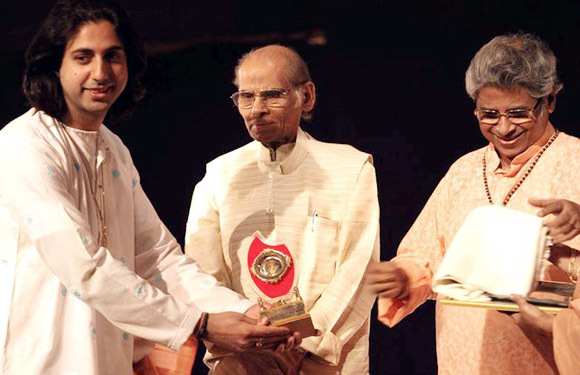 usic Legend Pandit Bhajan Sopori and his son Abhay Rustum Sopori have been honoured with the Raag Ranjani Awards for the year 2010. 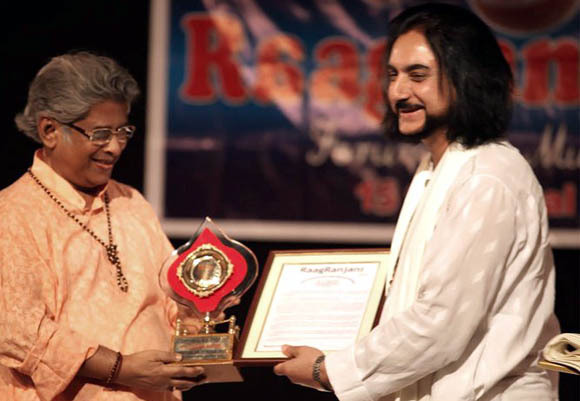 While Pandit Bhajan Sopori received the Raag Ranjani Sangeet Bhushan Award in the senior category for lifetime contribution to the field of music along with senior vocalist Sulochana Brihaspati, Abhay Sopori was honoured with the Raag Ranjani Sangeet Shree Award in the junior category for extraordinary achievements and contribution at such a young age. The awards were presented at a glittering function held in Delhi attended by various dignitaries, art lovers and a galaxy of stalwarts of Indian music including the Legendary Pt. Shamboo Nath Sopori, hailed as the ‘father of music in J&K’. The awards were presented by Sitar Maestro Pt. Debu Chauduri and Rudra Veena exponent Ustad Asad Ali Khan. Hailed as the “Saint of the Santoor” and the “King of Strings”, the Santoor legend and music composer Pandit Bhajan Sopori is regarded as the cultural bridge of Jammu & Kashmir and the rest of the country. He has used his Santoor and his compositions to highlight the concept of oneness and foster unity enshrining the idea of national integration, humanism and peace amongst the common man and the youth in particular for which he has been honoured with various national and international awards and decorations. 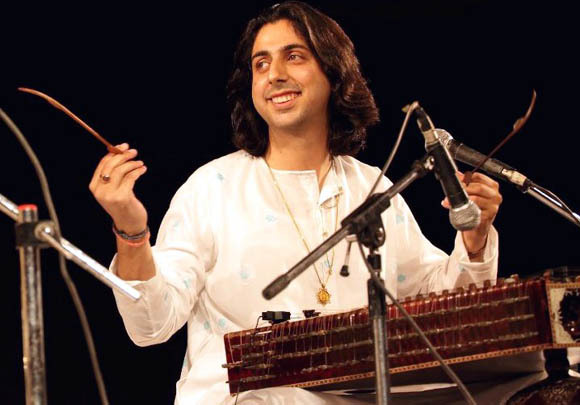 The youngest Santoor maestro and composer of the country Abhay Rustum Sopori, has the credit for creating a Cultural Revolution in Jammu and Kashmir bringing the youth together through music. His efforts and initiatives have been path-breaking creating a new generation of music connoisseurs and bringing more recognition to the art and culture of the State at national and international level. Abhay has carried forward the great legacy of his family in propagating and promoting the Indian culture globally. He has not only established himself as one of the most prominent musicians of the present generation but simultaneously promoted numerous upcoming and talented musicians of the country. Abhay has inherited a profound sense of music from his fabled Sufiana Gharana of Kashmir, the exclusive Santoor Gharana of the country. The award function also featured a Santoor recital by the eminent Santoor maestro Abhay Rustum Sopori. Abhay commenced his recital with a tough evening raga - Nand Kaunce presenting elaborated Aalap and intricate Jod. He continued his recital with another rare raga  Rageshree Kaunce presenting compositions in Vilambit Rudra Taal (11 beat cycle), Madhyalaya Teentala and Drut Laya Teentala marking his high technical virtuosity and demonstrating various stylistic nuances like Meend, Glides, Gamak, Taan, Laya and Chandh patterns, etc. of his Sopori Baaj and Sufiana Gharana, the exclusive traditional Santoor family of the country. Abhay also sang the bandish ‘Ragan ko Rang de’. His lightning tempo and speedy Taan patterns had an electrifying effect on the audience. He was beautifully accompanied on Tabla by Shubh Maharaj who showed the shadow of his late grandfather Pt. Kishan Maharaj.